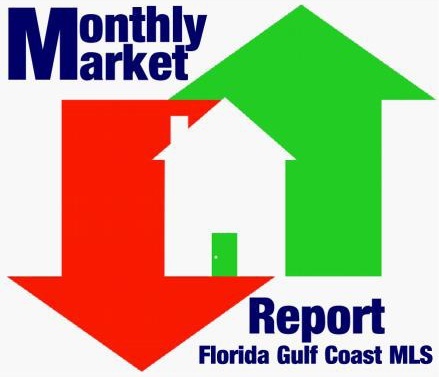 In the month of May, Lee County saw an increase in the number of sales of existing homes. This year, there were 1255 homes sold in May versus 1148 sold in 2012. That represents an increase of 9.3%! Of those sales, the traditional resale property made up the bulk of transactions representing a whopping 79.9% of single family homes sold. Distressed sales made up the remaining with foreclosures representing 12.1% and short sales representing 9.4%. As the market continues to improve the percentage of distressed sales continues to fall so if your plan is to wait and see you may want to reconsider. Regarding median price in Lee County, we saw an increase of 25.1% year over year. Last year the median value in May was $141,000. This year we are at $176,333. Since January alone the median price has increased an incredible 30%! Also, now that we are out of our “snowbird” season, the number of new homes for sale in the area has dropped. This has made it challenging for buyers in the area. Less homes for sale equals further competition for desirable homes. Add that to the fact that rates are rising, don’t let indecision affect your ability to purchase a home. Wait too long and you may price yourself out of an improving market. To further illustrate my point, in May 2012 there were 5585 homes listed for sale in Lee County. In May 2013 there were 5213. That’s a decrease of 6.7%. In all, the current amount of inventory on the market represents a 5.5 months supply. On average, homes are taking 60 days to sell, which is great for sellers. For buyers, it’s just another sign that if you like a home, there is a good possibility it will not be there for you if you wait. Here’s a great stat you should consider regarding your offer strategy as well. The typical home in Lee County sold for 93% of the asking price. Gone are the days of lowball offers. If you are within 7% of asking price, you give yourself an opportunity to get the home you desire. Well that’s it for this month’s update. If you are ready to take the next step click the contact us button or call 239-244-1649 and we will get you the right home, in the right place, for the right price…that’s the Pinnacle Promise! Follow us on Twitter at @PinnacleBroker and let us know how we're doing.